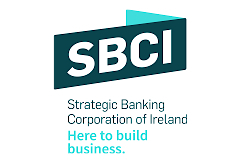 Providing access to lower cost finance lies at the heart of the Strategic Banking Corporation of Ireland (SBCI) mission. The SBCI was set up in late 2014 to address issues SMEs were facing in the credit market in Ireland following the banking crisis. Specifically, the SBCI was put in place to secure sources of longterm lower cost funding for SMEs. SBCI finance is available to businesses in almost every sector of the Irish economy, and we encourage any SME that has not thought about an SBCI loan to consider the benefits our finance can bring. The benefits for businesses that secure loans through SBCI include a lower cost and potentially more flexible repayment periods, delivering cashflow benefits to SMEs. Up to the end of June 2017, the SBCI had supported 21,132 Irish SMEs with loans totalling €855 million. These SMEs employ over 106,728 people. In addition, the SBCI has guaranteed an additional €150 million in lending to the agricultural sector in Ireland through the agricultural cash flow support loan scheme. You can find further information on how to apply for SBCI loans and our contact details at www.sbci.gov.ie.